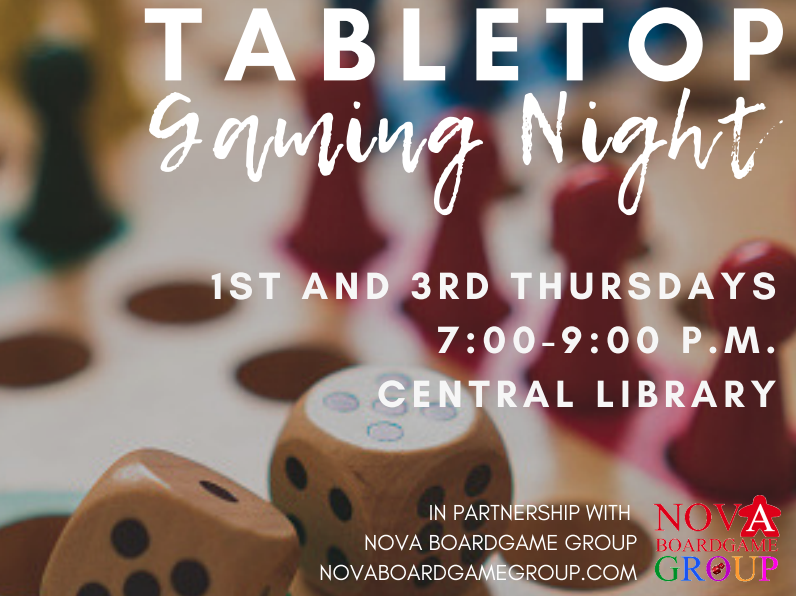 Join us this Thursday, April 4th, at 7pm in Arlington Central Library (1015 N Quincy St, Arlington, VA 22201) for Tabletop Gaming Night! Anyone age 18+ is welcome to attend. The event is free and open to the public. Parking in the underground garage, adjacent parking lot or on the street is free.